When her mother passed away at a young age, Saeki Makoto was given the power to see Gintaro, one of the gods’ agents that have been protecting the small Inari temple since the Edo era. As only one person of the family can see the fox spirit, Gintaro, naturally as the only blood relative, when her mother passed on, Makoto inherited the sole power to talk to and see him. 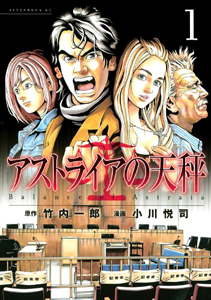 Although they have their differences, Makoto, with the help of Gintaro’s power, help the people of their community deal and solve their problems. 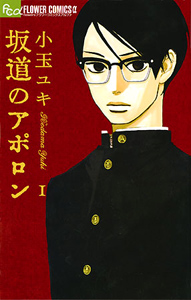 Takamizawa Shinichi has just transferred schools and is staying at the male dorm with his new friend Kato Masaya who is showing him around. He tells Takamizawa that he needs to pay his respects to Intel who oversees the male dorm housing. 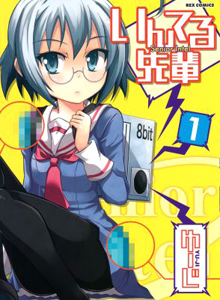 It turns out that Intel is a person who looks to be a pretty girl who seems almost machine-like. She's able to use her hair to fly, defeat a group of bank robbers and read the contents of a game just by scanning the CD. Although Intel has some human aspects, Takamizawa is puzzled by the truth behind Intel and, whether he wants to or not, he's about to find out more. Tokita Goshi has a lot of experience working at an insurance company, and he uses his experience to brave the highly litigious society of America. In New York, he founds a risk management company, Office North Star, and takes on cases as a risk consultant. 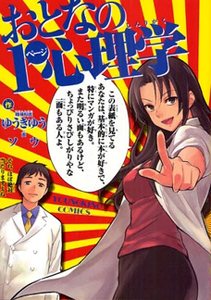 This gag manga follows the humorous stories of the quirky doctors in the psychiatry department of a medical college. Each short joke story lasts about 1-2 pages. Interspersed with the short stories are funny psychological quizzes with explanations for each answer. 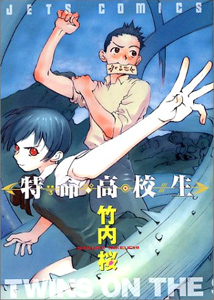 It was supposed to be just a regular daily bus drive to their high school for Watanabe Sheena and her friend Yuk, but when the bus enters a thick fog, the unexpected happens and the bus gets transported to another world that seems prehistoric. With the bus driver gone, the only other passengers on the bus in this mysterious world are all high school girls: Izumi, Ayu, Kyoka, Anna and Jessica. With no cell phone or internet signal, they are completely cutoff from their world. To make things worse, they see hundreds of glowing eyes of predators at night waiting for the girls to make a mistake. 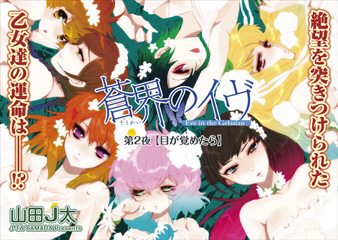 How will seven high school girls survive in this treacherous place and get back safely to the real world. When Mao was young, she was often left home alone while her parents worked long hours at work. She wandered over to the Nakamura home, where a family lived with three children, and found herself accepted into their lively household. One day, she learned that her parents were going to divorce. She chose to live with her nearby father, who she didn't really know very well. After that, the parents of the Nakamura household died in an accident. The eldest child, Hiro, remained in their family home, but his younger siblings were sent away to other relatives. 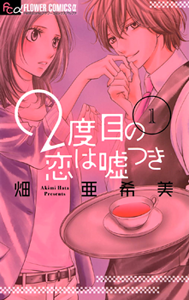 Years later, when Mao is 17 and Hiro is 23, Mao's father remarries a woman who had a child from a previous marriage. Mao feels as if she's lost the place she once belonged to, and so she accepts Hiro's offer to let her move in with him, into the home where they'd both had so many happy memories. Will they renew the sibling-closeness they shared as children, or will their relationship grow into something more? The Myoga family has been fighting demons and evil spirits for generations. The newest members of the family are the twins Kaoru and Chiharu. Chiharu, the older sister, is skilled in spell casting while the brother, Kaoru, has yet to make it his own. Although they have sibling quarrels, they work well together but they need more than team work if they want to eliminate all the dangerous supernatural threats that are sprouting around the city. Nothing really interested me this week. There's stuff for anyone interested in judicial systems. 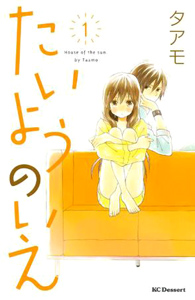 The most interesting was Taiyou no Ie, which seemed like it would be a cute little romance. Tokumei Koukousei - Twins that fight demons using spells. I like the premise, characters and the little bit of comedy mixed in. I think it will get better in time as the two siblings gain more power. 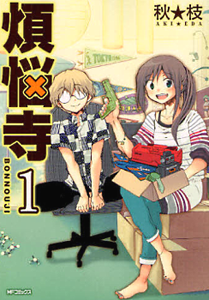 Bonnouji - feel good romance series. not too girly and easy to read for any age or gender. 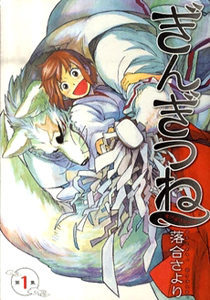 Gingitsune - the plot is original and the drawings are really great. I wish there was something more to the plot though. Has potential so willing to see where it goes. 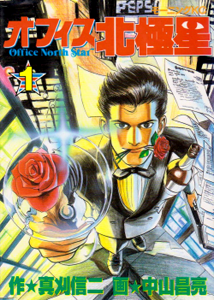 If you haven't done so already, check out the scanlations of the mangas from previous shout outs which have been recently scanlated: comedy All Around Type-Moon - Ahnenerbe no Nichijou (MH link), martial arts comedy Haru Polish (MH link), golf manga King Golf (MH link), drama 87Clockers (MH link), fantasy oneshot of the serializtion of the same name Kikai Tonchibanashi - Hanasaka Ikkyuu (MH link).